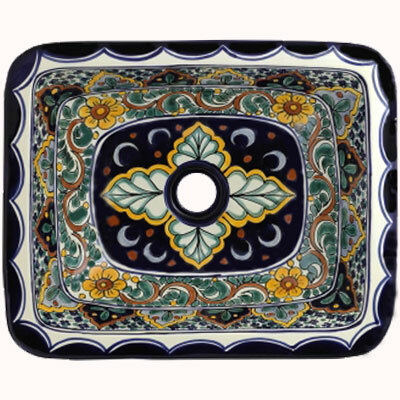 These vessel ceramic sinks are the best choice for decorating your bathroom because they combine the colorful and elegance of the Mexican art, regardless of the style of decoration of your bathroom, this will look elegant and stylish with a vessel ceramic sink. 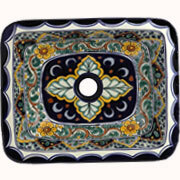 If you like that every space of your house look perfect, you can combine a vessel ceramic sink with Mexican tiles. 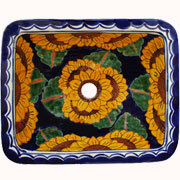 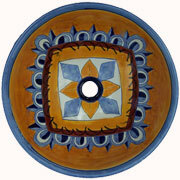 in MEXICAN TILES FOR SALE besides these vessel ceramic sinks you can find a Variety mexican pottery. 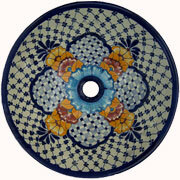 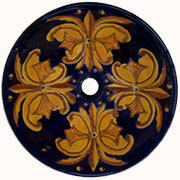 buy on line in MEXICAN TILES FOR SALE.